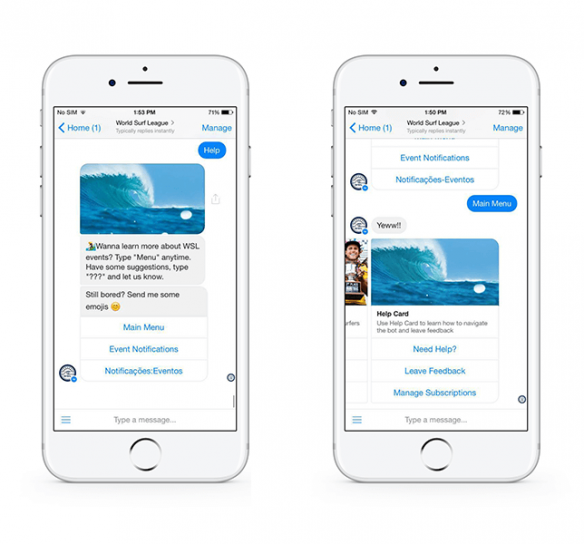 World Surf League has recently launched an amazing chatbot dedicated to all things surfing with focus on year-round surfing events across the globe. WSL team chose Chatfuel bot creation platform and worked together with Master of Code chatbot development team on this release. 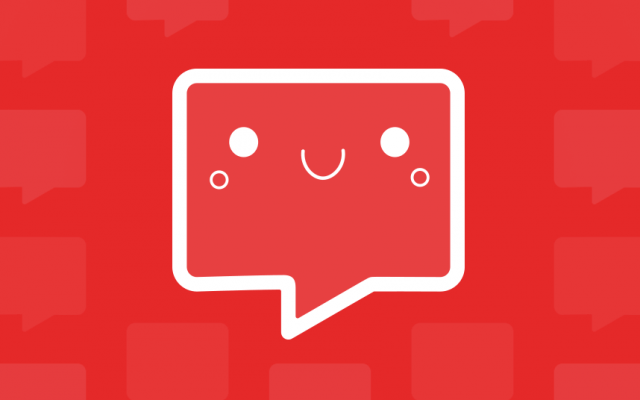 WSL chatbot stands out from the crowd with its fresh and cheerful communication style and positive attitude. WSL chatbot launch has been a huge success with over 4K active users within a week after the release date and 40-80 new users checking out the bot daily. User retention rates are great as well staying at 19.6% on the fifth day of the bot performance. The first thing that pops up is that the users are offered to subscribe to notifications about live events and receive personal digest based on their subscriptions list. That’s the easiest way for a user to be notified of the content and events that are within his interests. WSL chatbot is also bilingual at some points of the user journey (mainly notifications flow). 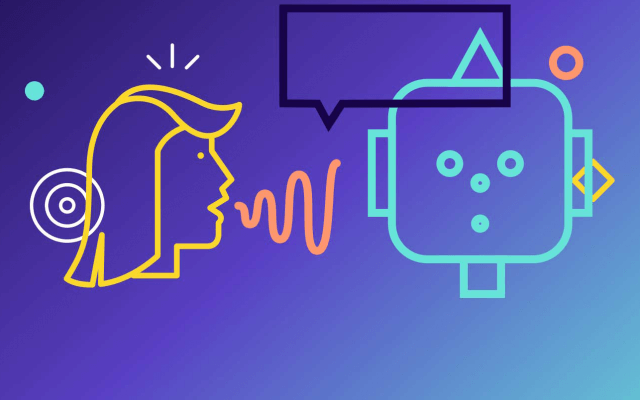 The bot can take care of both Portuguese and English speakers, which is definitely a great advantage and is a sign WSL cares about personalizing chatbot experience. 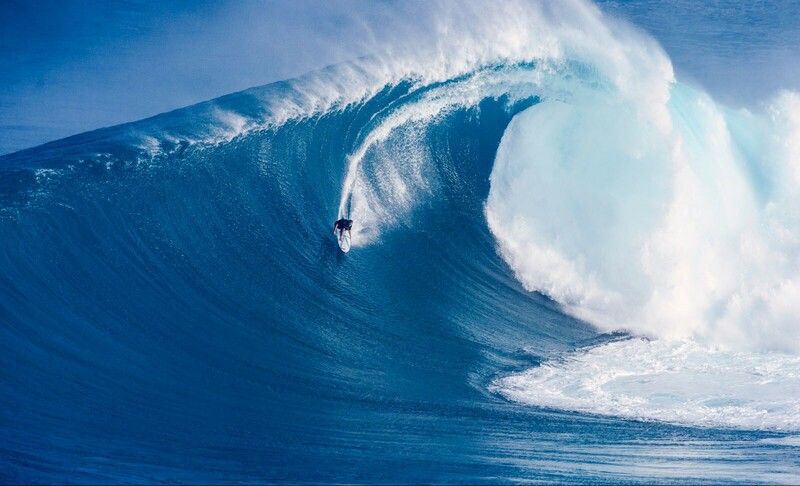 The chatbot is based on several customized RSS feeds that provide information about schedules and events, latest news in the world of surfing, WSL athletes list and top 3 men and women surfers. All users are also able to search for their favorite athlete directly by entering their search query in the Facebook Messenger. This is very easy and saves a lot of time as the users do not have to look for the necessary category in the menu gallery or somewhere else in the flow, the only thing they need to do is simply type the name of the athlete they’d like to find information about and the chatbot will display a gallery of available articles. WSL chatbot is emojis-friendly. Try sending it your favorite emojis to check out its cute responses in the surfers’ style. Help Card is another valuable asset. If you are new to the world of chatbots, you may feel a bit lost with this new technology. If you are not sure how to navigate the bot or would like to learn more about the list of things the bot can do, just check out this card in main menu or type Help to view it. WSL chatbot users also can leave their feedback or comments regarding their chatbot experience directly in the bot by tapping Leave Feedback button in the main or persistent menu. Their feedback will be instantly sent to the WSL support team that will get in touch with users and provide their help or answer questions if any. Building a WSL chatbot has been a great experience! WSL is a team of very positive people and professionals passionate about surfing and wanting to serve their fans across all new communication platforms. I hope you’ll enjoy the bot the same way as I do. 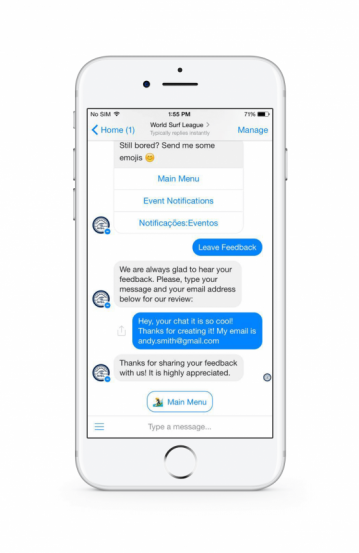 It is available via the following link or simply by typing World Surf League in your Messenger search window and start talking to the bot right away! Still doesn’t have a chatbot to promote your business? Let’s build one!